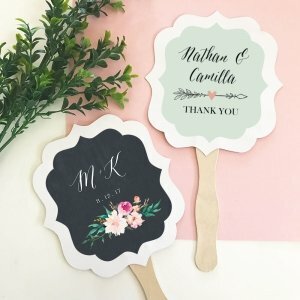 Personalized floral garden paddle fans make practical favors for any rustic or vintage themed event! White paddle fans can be personalized with on of our rustic color options, styles, and two lines of personalized text. For an added touch of style, dress them up with ribbons or decorative twine (not included). It's a fashionable way to make sure your guests stay cool during your garden event! I'm wondering if there is anyway to add a bit more text to the fans? We're thinking perhaps something where the fan also doubles as a program. I'm sorry there is not. the printable area can only accommodate for so many charachters. I made the personalization and want to see how it looks. How do I do that? 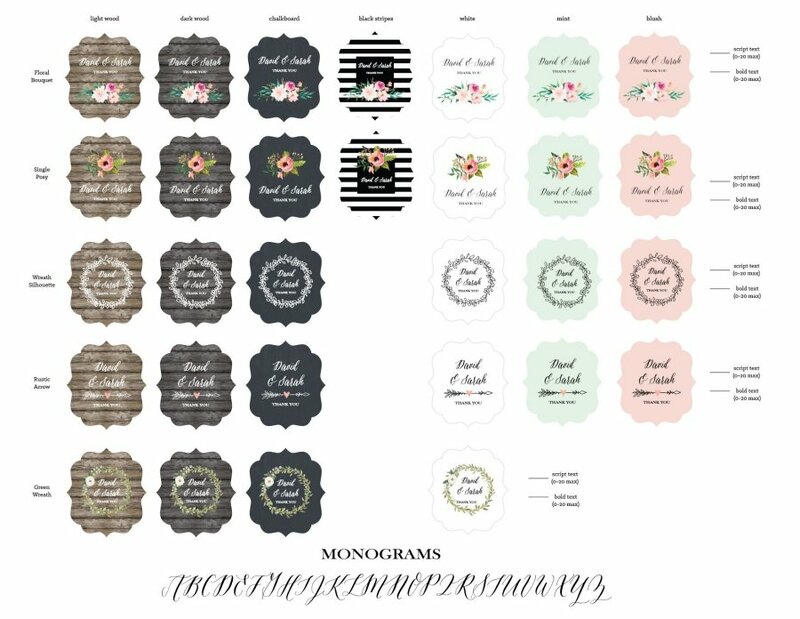 We don't have actual previews for this Personalized Floral Garden Paddle Fans, but you can view the examples pictured, as well as label designs and colors using the links under the description. There's also links for these options in the personalization section of your shopping cart.